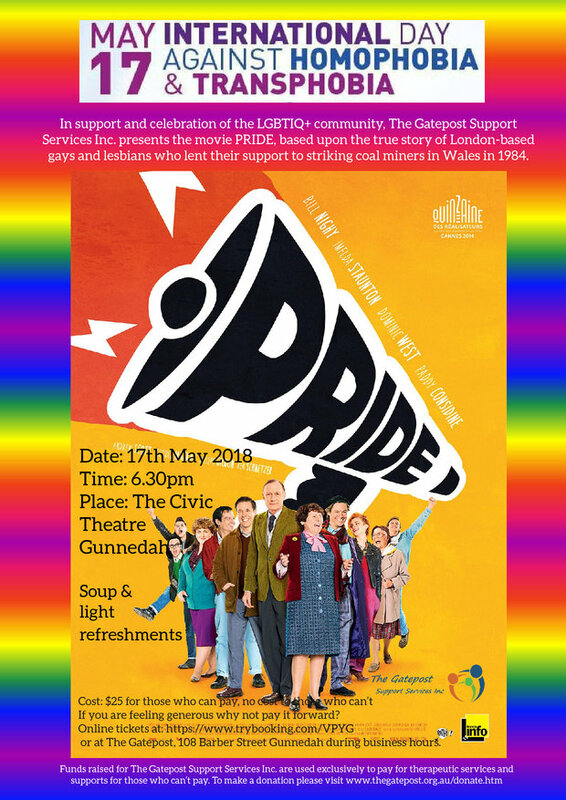 In support and celebration of the LGBTIQ+ community, The Gatepost Support Services Inc. presents the movie PRIDE, based upon the true story of London-based gays and lesbians who lent their support to striking coal miners in Wales in 1984. Date: Thursday 17 May 2018. 6:30pm at Civic Theatre Gunnedah. To book tickets online: Click to book! Tickets can also be purchased at The Gatepost 108 Barber Street Gunnedah during business hours. Four times per year, The Gatepost Support Services Inc. invite you to join us at our Diversity Dinner. The dates are 21st March, 21st June, 21st September and 21st December. Celebrations will begin around 6pm. Come along and bring some friends and a plate to share; if you can. 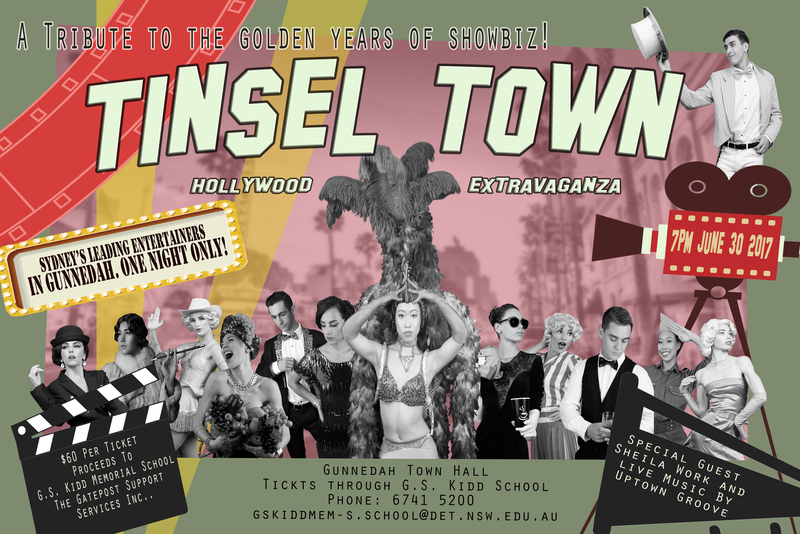 In conjunction with GS Kidd Memorial School, The Gatepost Support Services Inc. are proud to present a fun-filled night of frivolity for your enjoyment from 7 pm on the evening of June 30th 2017 to be held at The Gunnedah Town Hall. Tickets are $60 each.